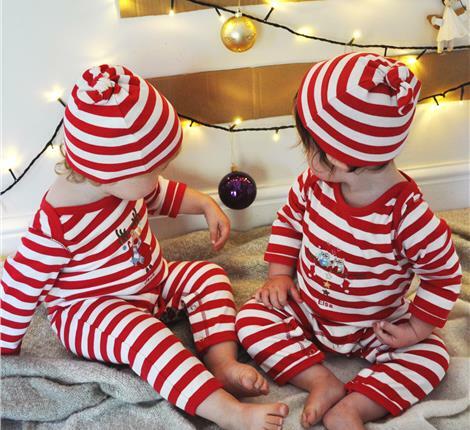 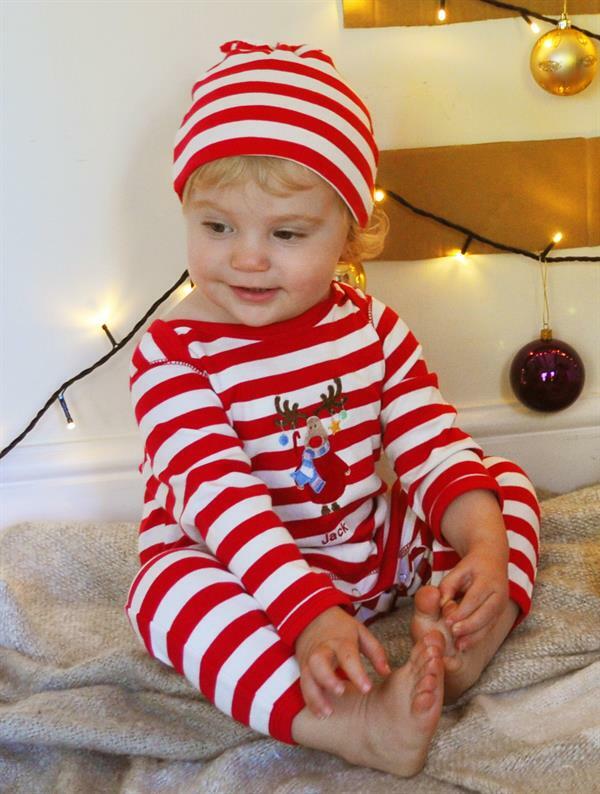 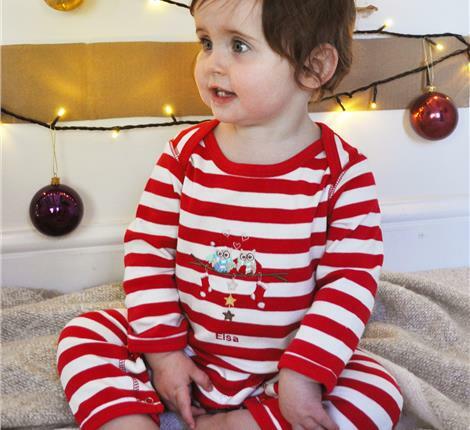 Our lovely snuggly red and white stripy rompersuits are made from the softest cotton, perfect for sensitive baby skin. 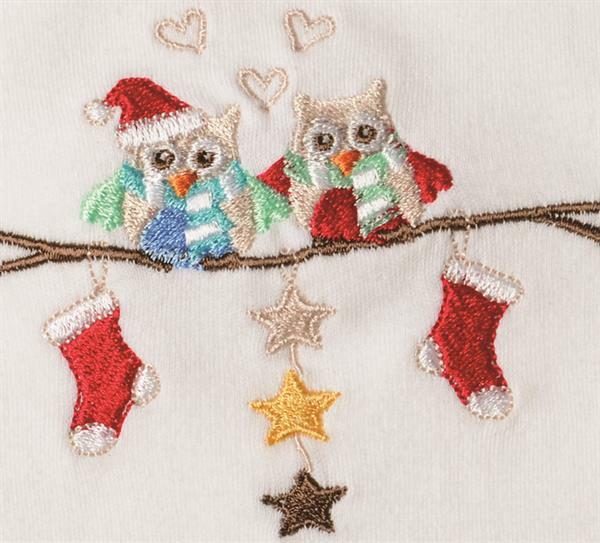 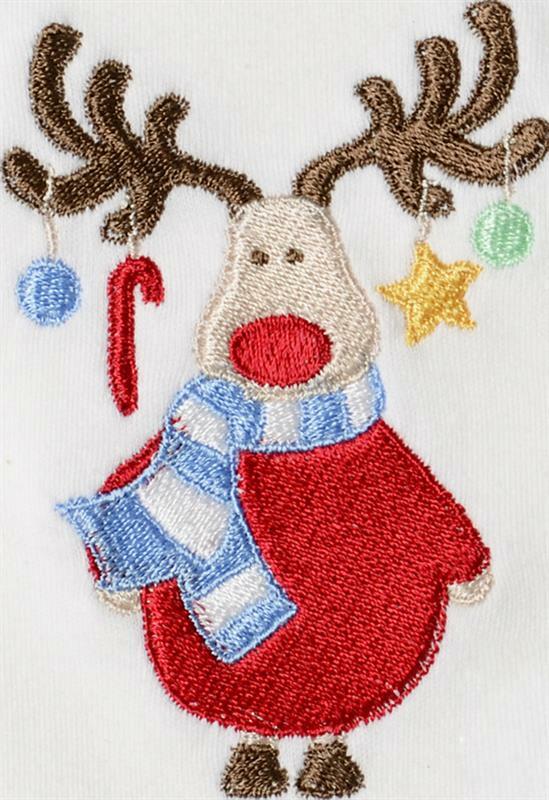 Choose from either a jolly little reindeer or a loving pair of owls with their own stocking, all ready for Santa. 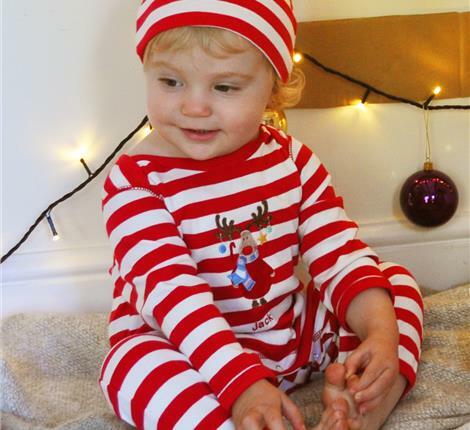 Dressing those wriggly limbs is made easy with an envelope neckline and nickel- free poppers for fast nappy changes. 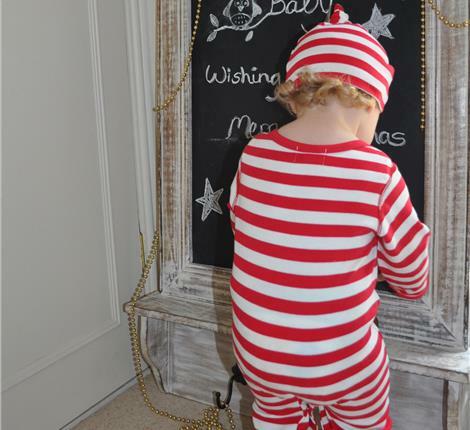 A special gift idea perfect for a baby shower, a new baby or just because! 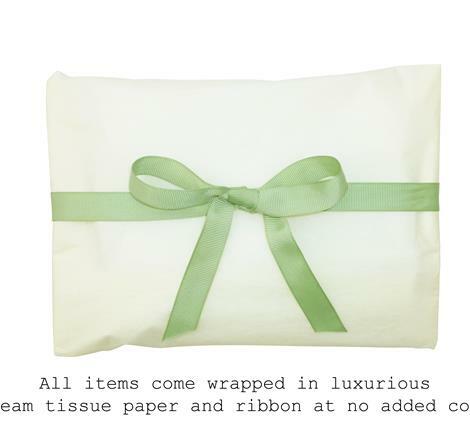 Rompersuits all come wrapped up in luxurious cream tissue paper and olive green ribbon at no added cost.